Kuranda Dog Bed Review: Which Style is Right for Your Dog? If you’re searching for a Kuranda dog bed review, then I’m betting you’ve at least heard of the brand. Maybe you came across it in your search for the perfect chew-proof bed for your pup? Perhaps you’ve seen it while looking for a good elevated nap spot? You might even already know that you want one, but just don’t know which model is right for Fido! Whatever your reason for seeking out a review, we’ve got you covered! Read on for our complete Kuranda dog bed review, including features, pros, cons, and an overview of their different styles! By the time we’re done, you’ll know for sure if this is the right bed for your pup! Which Kuranda Dog Bed is Right for Your Pup? If you already know you want a Kuranda but just aren’t sure which model, take a peek at this handy table. All-Aluminum Kuranda with Heavy-Duty Vinyl All dogs, every size (including giant breed), especially aggressive chewers. 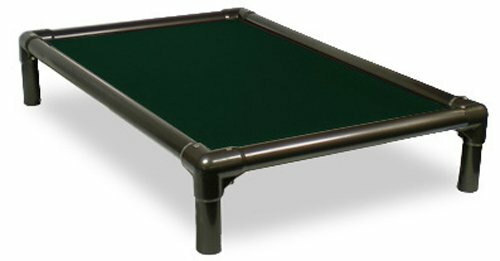 PVC Frame Kuranda Bed with Ballistic Nylon Dogs up to 100 pounds who aren’t chewers. Dogs with skin sensitivities. 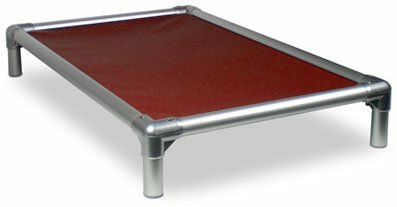 Kuranda Dog Bed with Aluminum Frame & Cordura Fabric Non-chewers and senior dogs who need extra traction getting on and off the bed. 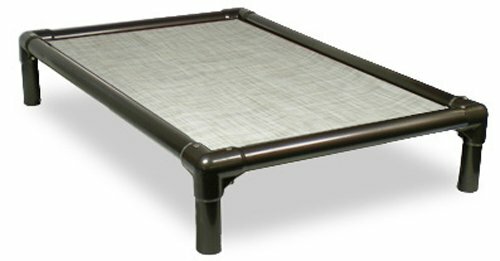 Kuranda Dog Bed with Vinyl Weave Fabric Non-chewers, dogs with bladder control issues, outdoor use. If you’ve read any (or all!) of our previous dog beds reviews and recommendations, know that we’re big fans of Kuranda. It’s my go-to brand when I’m looking for good chew-resistant dog beds as well as odor-resistant beds. Let’s find out why, starting with the top features. Kuranda’s patented aircraft-grade aluminum frame can hold up to 250lbs! That makes it perfect for giant breed dogs, like Mastiffs, Newfies, and Irish Wolfhounds. Just make sure you get one of their all-aluminum models, as the standard beds only hold up to 100 pounds. If you have an aggressive chewer, Kuranda’s got you covered! Well, actually, they’ve got their beds covered…with heavy duty vinyl! Although they offer several different fabric options, the heavy-duty vinyl is only about $5 more than their not-so-strong fabrics. When you’re looking for a Kuranda Dog Bed on Amazon, just make sure you opt for one of the “heavy vinyl” models. Remember, nothing is 100% indestructible, but Kuranda definitely makes it as hard as possible for dogs to destroy their beds! The design of the Kuranda dog bed makes it ideal for both indoors and outside use. If, like my dogs, your pups love sunning on the deck, the raised design helps them stay comfy and cool. The combo of nylon and aluminum also makes the bed super easy to clean! Just hose it off! 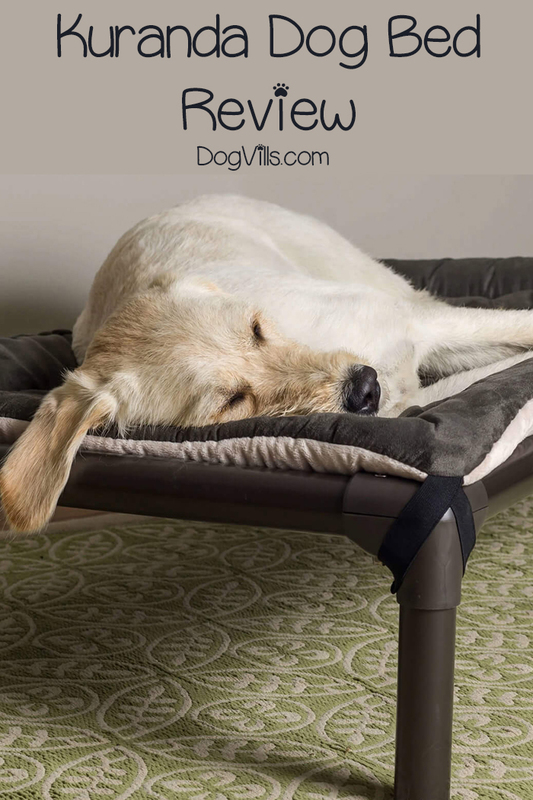 Thanks to the raised design and materials, the Kuranda is a great hypoallergenic dog bed. Since there’s no stuffing, you don’t have to worry about dirt, bugs, and other allergens getting trapped in the bedding. Don’t worry, even though it’s stuffing and foam-free, it’s still comfortable for older dogs! 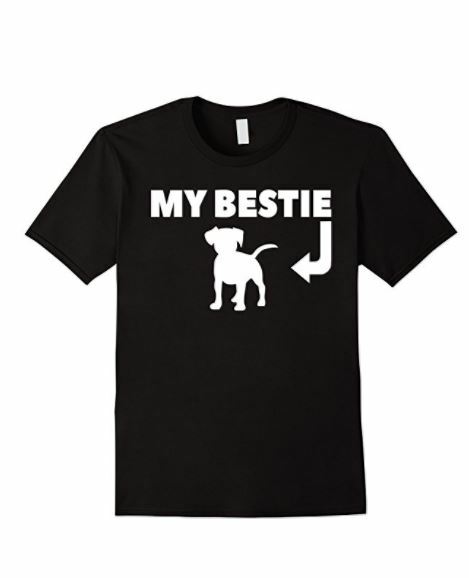 In fact, the raised design actually helps alleviate pressure on your dogs’ joints. Kuranda offers replacement parts for just about every part of the bed, so you don’t have to buy a whole new bed if just one piece breaks. The prices are pretty reasonable, too! Most parts are just a few dollars! Even the replacement fabric is reasonable, with the largest size and strongest fabric hitting just under $50. FYI, before you buy new parts, check your warranty. The 1-year-Warranty covers the fabric and frame. We touched on a lot of the pros above, but I’ve arranged them in a handy dandy table for you below. I think that makes it easier to see them at a glance. Heavy-duty fabric and frame prevents damage from chewing. Only a 1-year warranty. Allergy-friendly materials are ideal for dogs with sensitive skin. Some customers complain that it is hard to assemble. Elevated design keeps dogs cool and dry in the summer. Your dog may not like the design and refuse to use it. The entire bed is easy to clean! Only the heavy-duty vinyl is chew-resistant. Inexpensive replacement parts let you fix just one part instead of buying a whole new bed. Height isn’t adjustable. Since we talked about the pros above, it’s only fair that we give the cons their fair share of “screen time,” don’t you think? Let’s take a closer look at them to see how much they’ll affect your buying decision. Kuranda dog beds come with a 1-year warranty that covers the frame and the bedding material itself. While that’s not too shabby, some of my other favorite dog beds come with a 5, 7 and even a 10-year warranty. The DogOnIt bed, for example, has a lifetime warranty. BuddyRest & Big Barker beds come with a 10-year guarantee. So 1 year kind of seems a little short in comparison. On the other hand, the inexpensive replacement parts do help offset this con. I added the question mark there because not everyone will experience difficulties. The directions aren’t terribly challenging, but the tight fit (purposely) for some of the screws means you’ll need to give it some elbow grease. Some customers, however, said that the pieces simply wouldn’t fit together. This is more an issue of a defect with the frame and only affects a small number. Hey, it happens even to the best manufacturers! In that case, just exchange it for one that doesn’t have defects. I think this is the biggest potential con, because if your dog won’t use it, all the pros and in the world are useless. The Kuranda raised bed design is different from a traditional dog bed, and some pups just plain don’t like it. My girl Maia, who isn’t with us anymore, detested raised beds. She wouldn’t even use super thick memory foam beds! If she had to step up at all, it was wasted money. Well, not a total waste, since my cats will sleep on just about anything. This isn’t so much a con as a “watch out for” issue. Kuranda is pretty clear about which fabrics are “chew-resistant” and which aren’t quite as strong. You just need to pay close attention when you’re ordering. The Vinyl Weave, for example, is not covered under the chew-proof warranty. Stick with the heavy-duty vinyl if you have a destructive dog. Another “watch out for” rather than a total con, keep in mind that you cannot adjust the legs on the Kuranda beds. However, Kuranda will let you choose different heights for no extra charge. You’ll just need to call their customer service when you place your order. If you already have a bed, replacement legs range from $1.50 to $3.50 each, so you could easily change the height for $6-14. Now that we know all about the features, pros, and cons, let’s take a look at the different styles. Kuranda offers a few different options both for the frame and the bedding material. Keep in mind that you can mix and match most of these models. For example, although I talk about the PVC frame with ballistic nylon, you can get the PVC with heavy-duty vinyl, or the aluminum frame with ballistic nylon, and so on. They also all come in several different colors. Okay, let’s check out the top four models, plus a little bonus! The top pick for aggressive chewers or diggers, this one features the strong aluminum and heaviest fabric. With six sizes ranging from mini for toy dogs all the way up to XXL for giant breeds, it’s easy to find the perfect bed for your pup. Even if your dog doesn’t chew, this is my first choice in the Kuranda dog bed line, just because it’s so sturdy. This is the only bed that’s perfect for both indoors and outside. The others may be okay for outdoors, but with caveats (only certain colors, only certain materials). The PVC frame isn’t as strong as the aluminum, but it’s a decent option for those without heavy dogs (or aggressive chewers) who just can’t afford the extra expense of the aluminum. It will support up to 100lbs, making it a fine choice for toy through the lower end of the large breeds. Think Greyhounds and average-sized Labs. The Ballistic Nylon is abrasion-resistant and durable. While it’s not chew-resistant, it’s a bit harder to chomp through than the other lighter materials below. Comes in 5 sizes from mini to XL (no XXL here). While the Cordura fabric isn’t chew-resistant, it does have its benefits. For example, the not-so-smooth finish helps older dogs get a bit more traction as they get on and off the bed. While the aluminum frame is great for outdoor use, this combination is only good for indoors. The Cordura fabric really doesn’t hold up to the elements. I would recommend this one for a senior dog who is beyond the “chew everything in sight” years. I have very mixed thoughts on the Vinyl Weave fabric. On the one hand, it isn’t even remotely chew-resistant and isn’t covered under their warranty. That means that if it tears within the first week, too bad, so sad. If you buy it from Amazon, you may be able to exchange it within a certain time frame, but once that passes, you’re out of luck. On the other hand, it IS waterproof, making it great for outdoor use and dogs with bladder control issues. It’s also easy to clean. I would maybe recommend this one for older dogs who don’t chew, but only if you keep up with trimming their nails (some customers say it tears that easily). This last item isn’t a type of Kuranda bed but rather add-ons that you can put on any of their products. You’ll find a full selection on the Kuranda storefront on Amazon, including the cozy fleece pad pictured above. I recommend buying the add-ons from Kuranda (versus finding something similar from another brand) because they’re made to fit the beds and stay on thanks to the straps. Keep in mind that the bed itself isn’t included! I know that’s probably obvious based on the prices, but I just wanted to make it super clear. If you’re going to buy a Kuranda, make it the all-aluminum frame with the heavy-duty nylon. Based on just that bed alone, the Kuranda is my top pick for aggressive chewers! It’s also one of my top picks for diggers, dogs who spend time outdoors, and dogs with allergies or skin sensitivities. In fact, I can whole-heartedly recommend it for all dogs of any size and temperament. As for the other styles, while some are okay for certain dogs, they aren’t my favorite picks. Honestly, it’s worth it to spring for the better fabric and a sturdier frame. I’m not just saying that to get you to buy the more expensive model. The added cost isn’t too high, especially for the stronger fabric. We’re talking a few dollars. The aluminum frame is a bit more expensive, but still reasonable. Phew! This Kuranda dog bed review covered a lot of information! I hope it’s enough to help you decide if it’s right for your pup, and which model you should choose if it is! Do you have anything to add to my Kuranda dog bed review? Share your thoughts below!